Blue Dog originated in 2005 in Christchurch NZ when Clark Marshall, an aircraft engineer, chose to have a career change and take up the development of websites. Blue Dog moved to Australia in 2011 and has grown rapidly since. In 2014 Tegan joined Blue Dog and with her extensive sales and marketing experience (20+yrs), Blue Dog became Blue Dog Digital Marketing. In 2016 Blue Dog launched the Instant WordPress Websites DIY arm of their business to provide small business owners and startups with a professional online presence. We are passionate about building bridges between, the confusing world of websites and digital marketing, and the business owner, by talking in a language people understand, and creating digital marketing strategies that actually work to increase a client's business while they sleep. Dogs are close to our heart here at Blue Dog and consequently we support several charities that share our love for animals and work hard to protect those amongst us who can't talk for themselves. From the Guide Dogs and Smart Pups to the local RSPCA and Sunshine Coast Animal Refuge. Emma is the heart of customer service at Blue Dog and is always willing to tackle the tough questions with a smile. Ben is the friendly tech support you receive when you contact support at Blue Dog and is always happy to help. Bryan is our top website developer and supports Clark in research and development plus solves difficult tech issues. Barbara keeps Blue Dog accounts in order and ensures the office systems continue to function efficiently. Keeping up to date with the latest products, strategies and qualifications is important so that we can continue to provide the best service and advice we can to our valued clients. 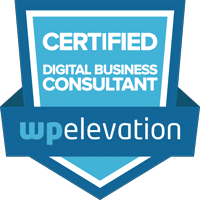 A dedicated program specialising in WordPress best practices, client communication strategies and advanced website systems & processes, designed to streamline the client experience and produce an exceptional online presence. 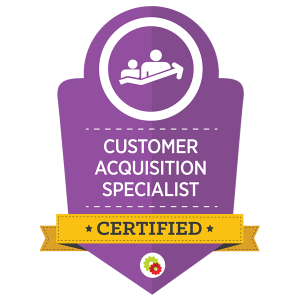 A certification in the latest proven online marketing techniques and strategies, to acquire quality leads and customers, at nil advertising cost and with paid advertising avenues, through automated sales campaigns, social media and search engines platforms. For larger projects, we work together with a carefully selected group of industry experts as part of a Global Agency. This Global Agency gives our clients access to the best designers, developers and marketers in the world and provides the opportunity for our clients to have a website that positions them as the leaders in their industry. Standing out for all the right reasons.